My dear hubby Mike found this recipe on a can of Rosarita refried Beans a few weeks ago. He has been talking about making this recipe ever since he laid his eyes on it, but we didn’t have the ingredients and then we forgot to pick up ingredients that we needed when we were at the grocery store. Well finally we picked up the ingredients this past weekend. Tonight I came home to house that had the most wonderful aroma. Mike was in the kitchen cooking away making this recipe. I have to admit I couldn’t wait to sit down and eat. One word can sum up the flavor of this dish… yummy! 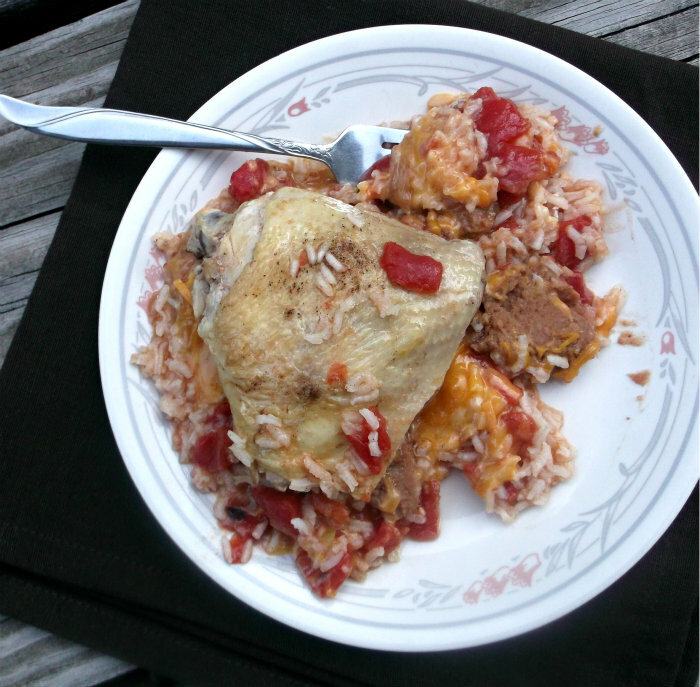 I loved the refried beans along the rice and the tomato and chili blend gives this dish a little heat. I know that this one will be on the menu in the future… also I have to admit Mike is quite the cook. 1. Season chicken with garlic salt and pepper. Spray skillet with cooking spray. Cook chicken over medium-high heat skin-side down, 7 minutes. Turn; cook until brown. Remove chicken. 2. Add the rice to skillet; cook and stir 2 minutes until light brown. Stir in tomatoes and broth. Return chicken to skillet; bring to a boil. Reduce heat; cover. Simmer 20 minutes or until rice is tender. 3. Remove chicken. Drop beans by tablespoons onto rice; top with cheese. Heat until hot. serve with chicken. 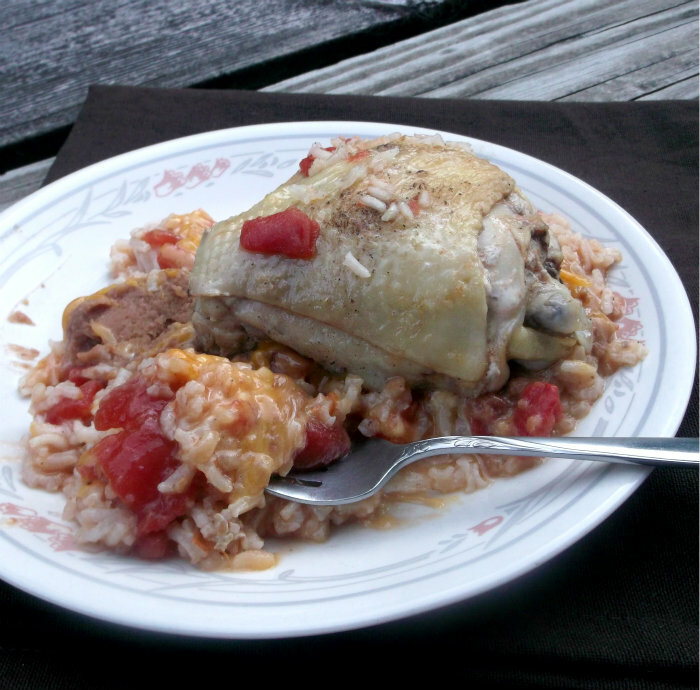 I love arroz con pollo – yours looks delicious.